Equipped with covers. For use in wet locations. 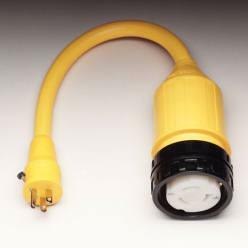 All, except 105A, have a unique sealing collar system that joins adapter to cordset with a positive, mechanical connection which provides maximum moisture protection.